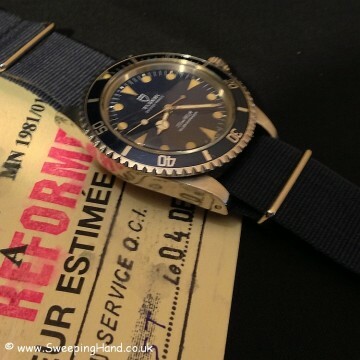 Here we have a rare military Tudor Submariner Marine Nationale for sale from 1981. 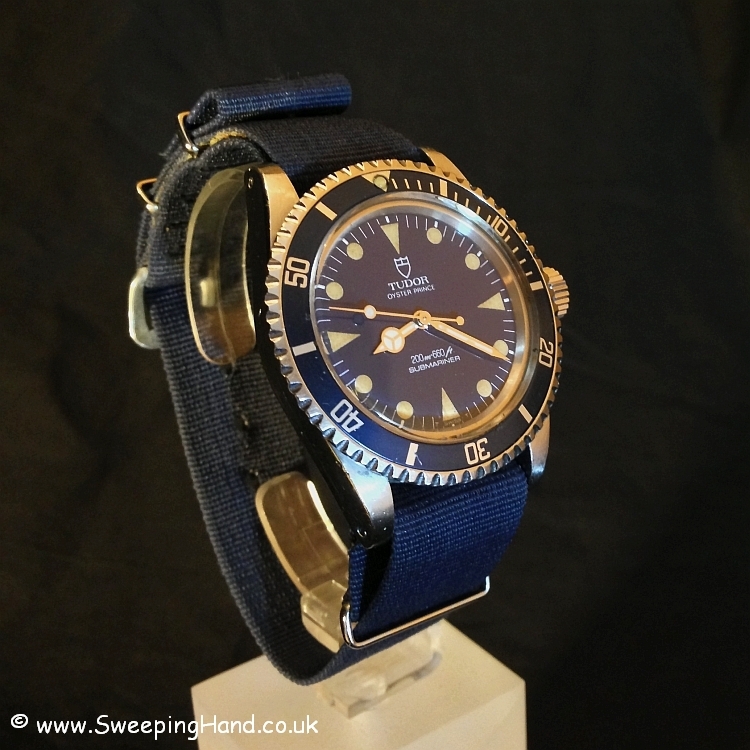 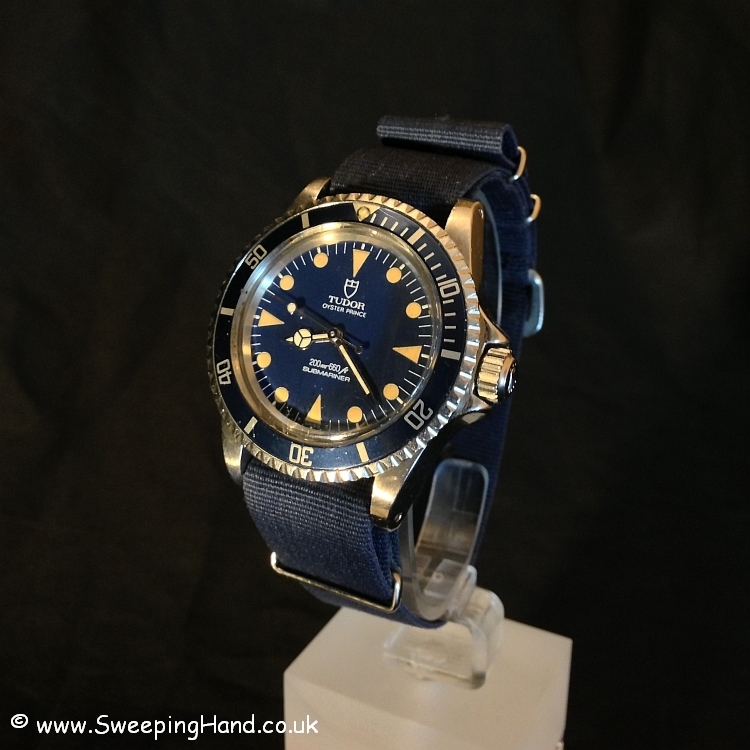 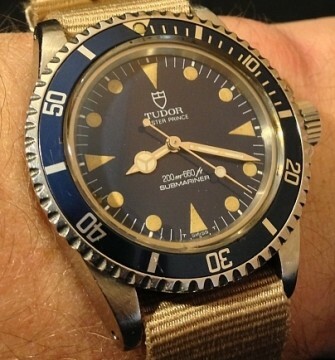 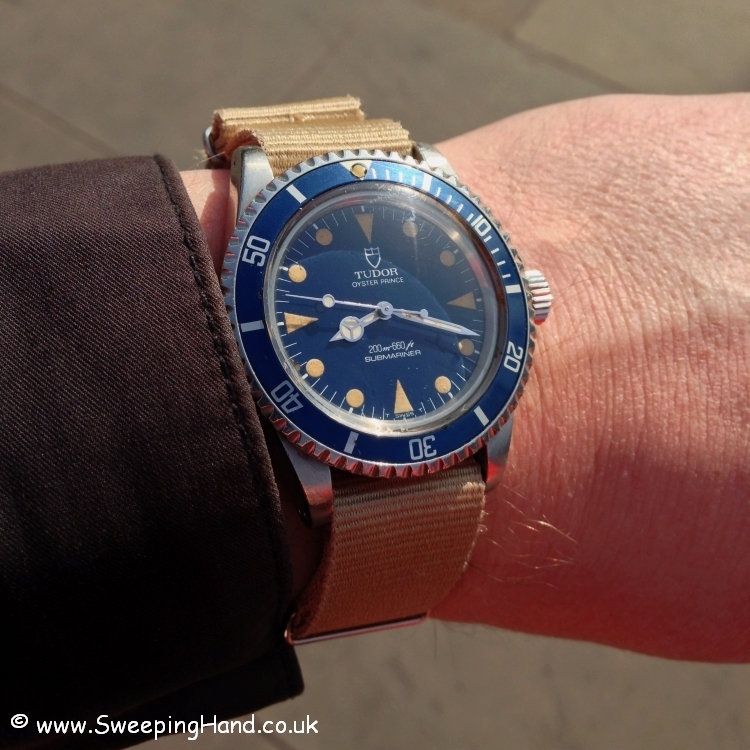 This is a very special vintage Tudor Submariner 94010. 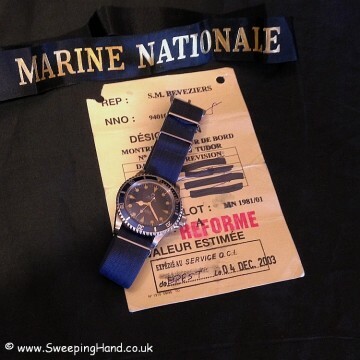 Issued by the French Navy in 1981 and used by the Marine Nationale these watches were real tool watches used by leading navy divers and mine clearance personnel. This Tudor MN Submariner comes with the official Decommissioning Papers to authenticate its military issue and is a real rare find. A fantastic thick case, lovely deep blue dial with matching deep blue bezel insert and a rare dark yellow plot triangle dial. 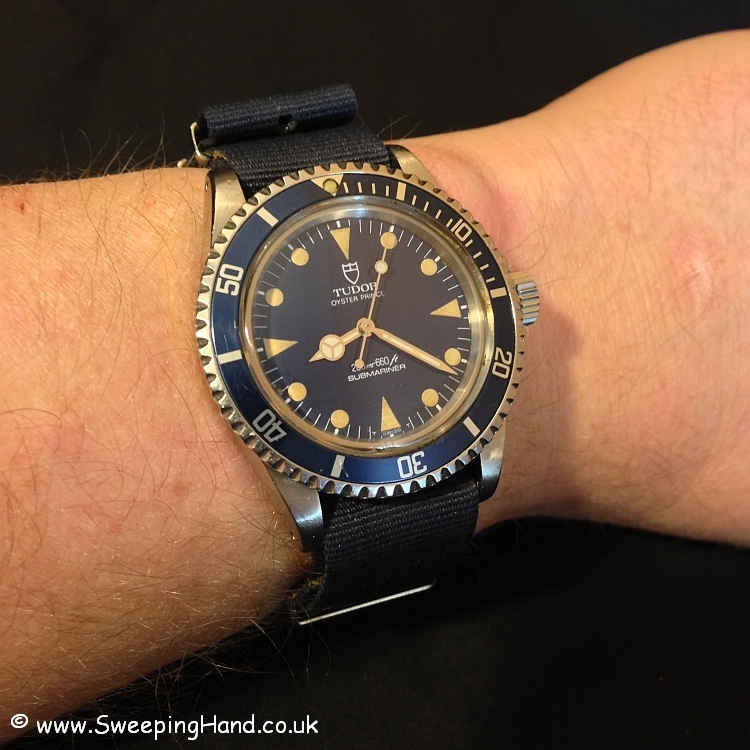 The triangle dial Tudor Submariners were only in existence for a very short period with the last known watches being around 1983. To find such a nice original specimen with official military Decom papers is no easy task these days! Dial & Hands: Beautiful deep blue Tudor dial with rare dark yellow plot triangle dial. Case & Caseback: 60k serial correct to a 1981 serial with all numbers clearly readable between the lugs. Correctly engraved Rolex caseback both inside and outside. Fat original lugs, clean case and with matching blue bezel insert and yellow pip. 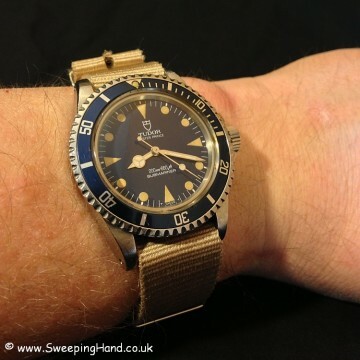 Bracelet: Comes on nato strap. 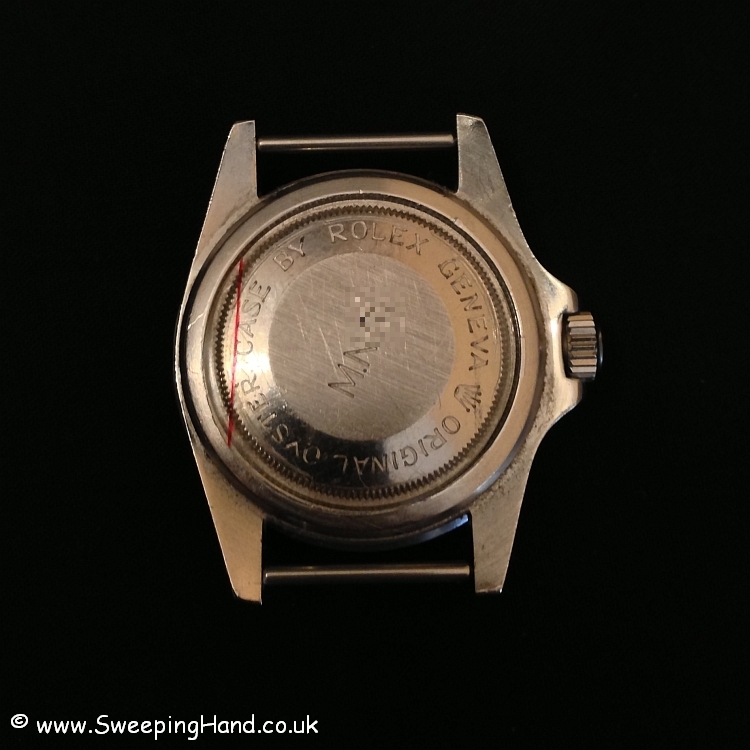 Movement: Original calibre 2776 Tudor movement in excellent working condition and keeping good time. 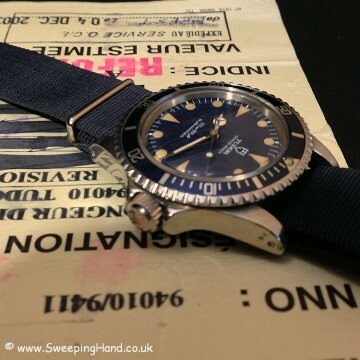 Box & Papers: As with all Marine Nationale watches it is vital you have proof that the watch you are purchasing is a genuine military issued watch. 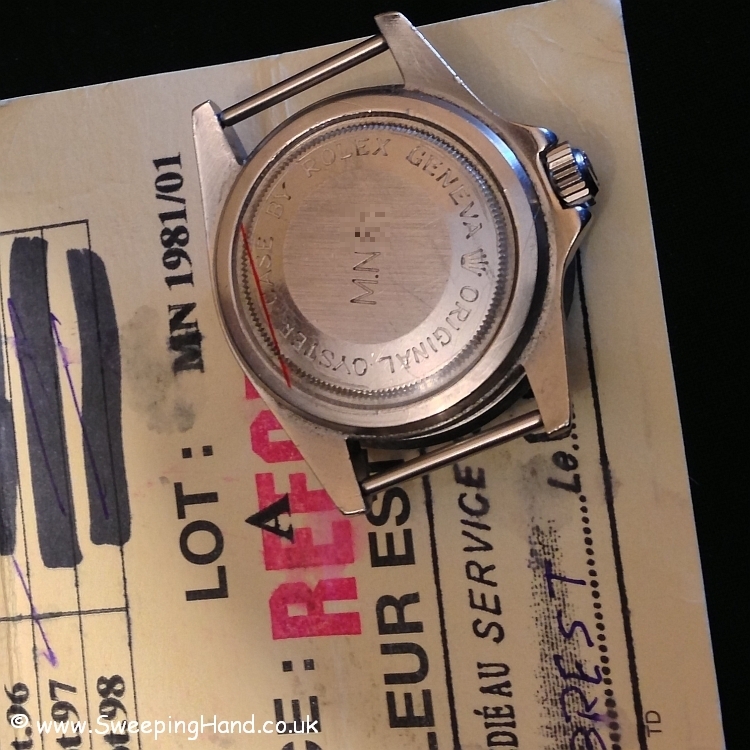 This one comes with original decommissioning papers from the military base at Brest, France.